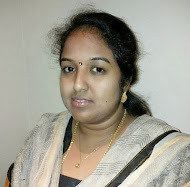 Here is a special recipe on my 175th post; this is also my first post to the International Food Challenge, administered by Saraswathi Tharagaram and Shobana Sekar. I have selected this traditional sweet of Rajasthan for this challenge. 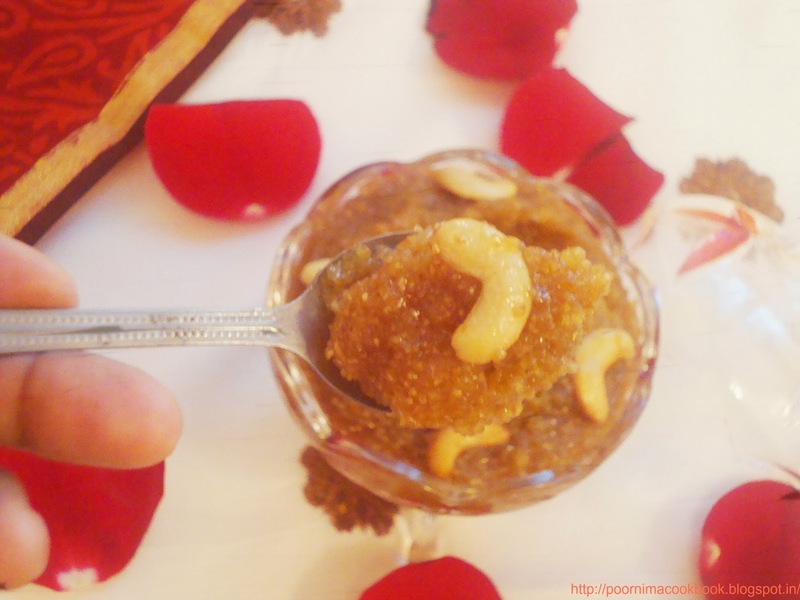 This yummy sweet is easy to make with simple ingredients and a perfect choice for nivedhyam / prasadham that can be prepared in a short time. 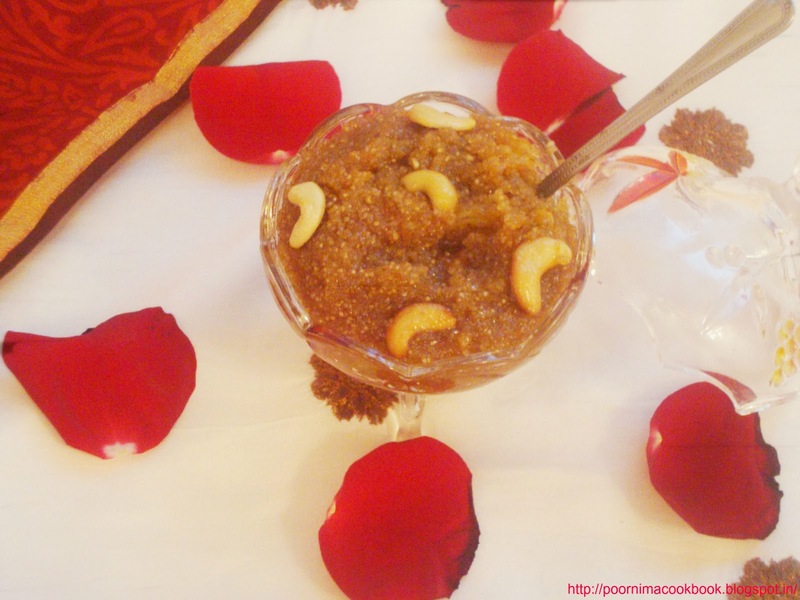 The combination of wheat with jaggery and ghee gives a nice rich taste and moist texture to the this dish. 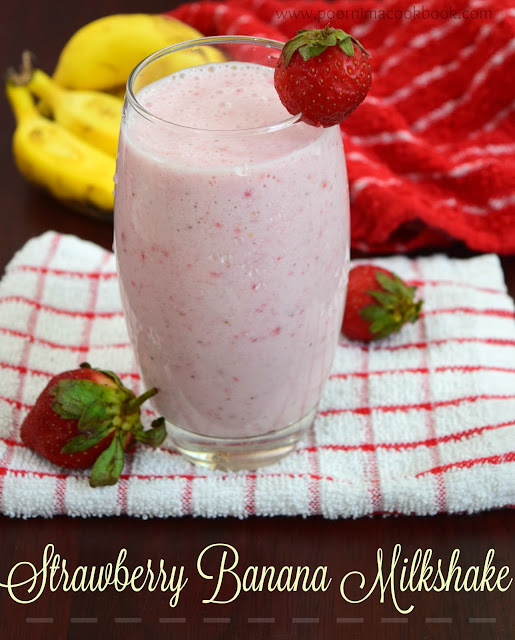 Try and enjoy this sweet with your family and friends. A big thanks to Manjula Bharath of Desi Fiesta for hosting this month's challenge and for introducing us to a wide variety of delicious food from Rajasthani Cuisine. To know more about international Food Challenge click here. Heat ghee in a kadai and add broken wheat; fry on a medium flame till you get the aroma and colour changes to golden brown. In a separate pan, mix jaggery, adding 2 cups of water. 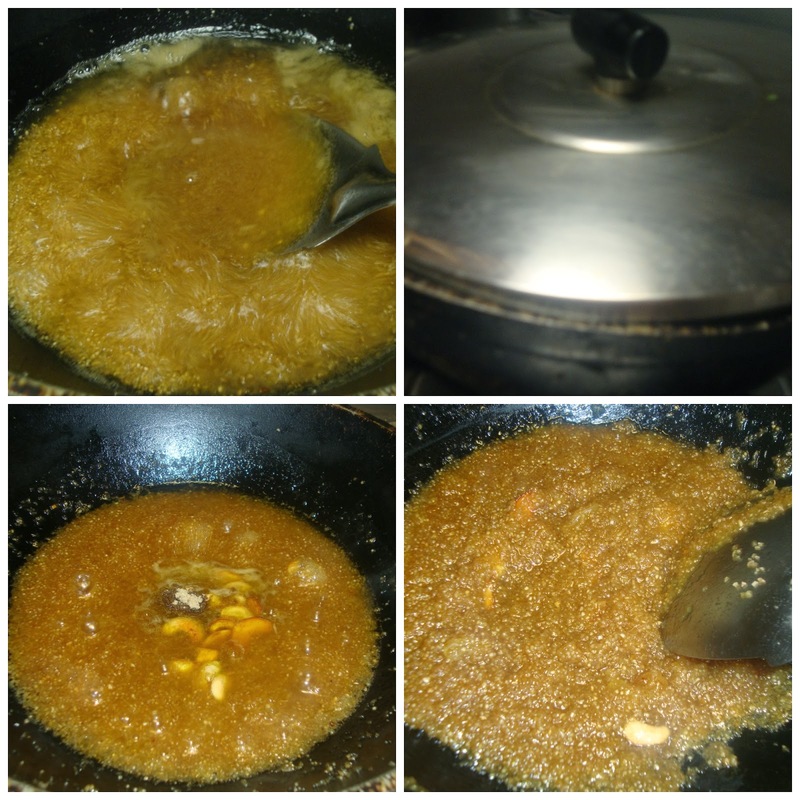 Boil till jaggery melts and filter to remove impurities if any. Slowly add the jaggery water to broken wheat and mix well. Close the pan with lid and allow to cook for 10 to 15 minutes or till the broken wheat becomes soft; stirring occasionally (do this in a slow flame). 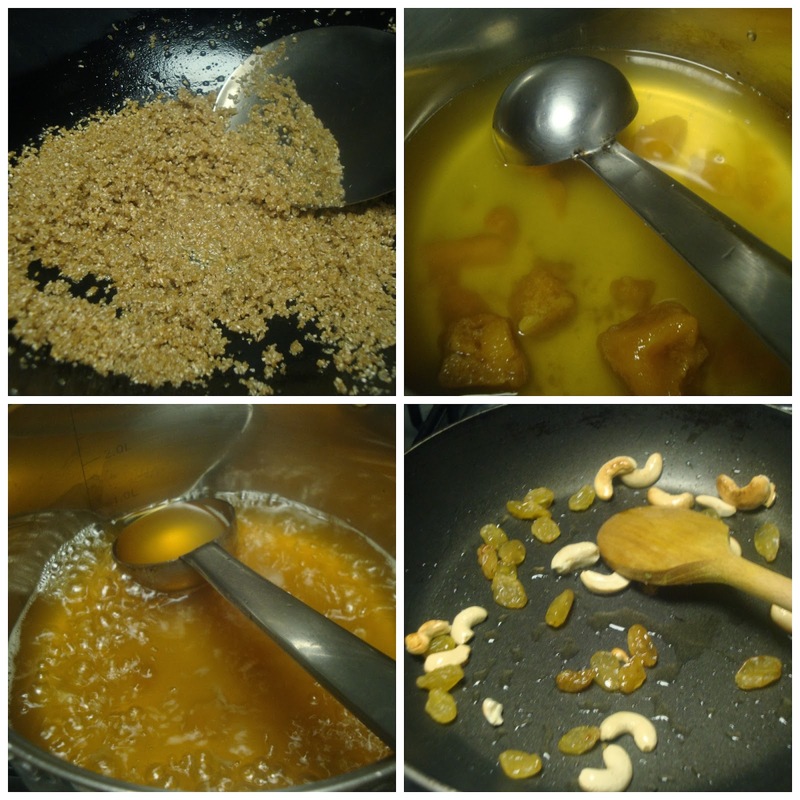 Add cardamom powder, raisins and cashews. Mix well and allow to cook till it comes to semi thick consistency and switch off the gas. Rajasthani Lapsi is now ready to serve hot. Congrats on your 175th post. 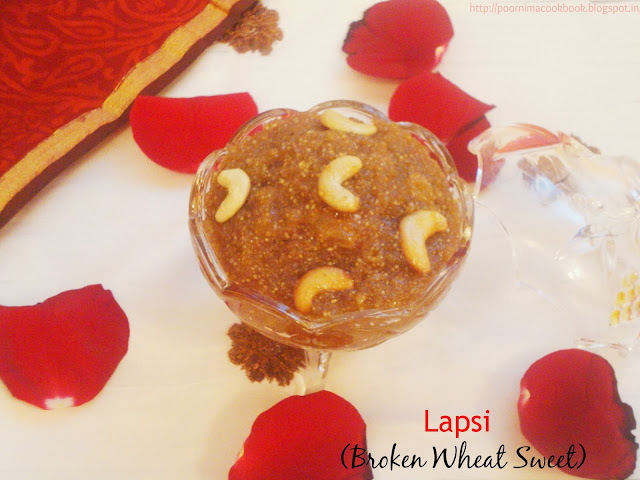 Very delicious Lapsi..Mouthwatering here. Really excellent post. Thanks for sharing.